I was involved initially in Canadian CED via Greg MacLeod, and the beginnings of New Dawn Enterprises. Sometime in that period, Greg (after I told him of the importance of the national organization of CDCs in the US) tried to start a pan-Canadian organization, called the Federation of Community Development Corporations in Canada. Out of that effort came a national conference in Edmonton in 1982. A small book on the proceedings was published by the Edmonton Social Planning Council, The Nuts and Bolts of Community Economic Development (1984). Among those attending and represented by writings in that book were David Pell, Susan Wismer, Dal Brodhead, and Greg and I. But nothing organizational came out of that experience; the Federation never took root. 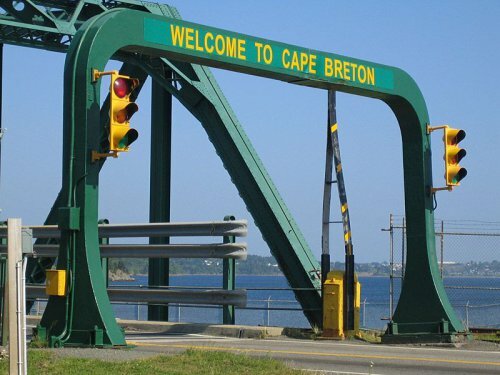 Later, I moved to Cape Breton and began a more intensive participation in the Canadian field while running the Centre for Community Economic Development in Sydney. I was a kind of hanger-on in the early days of the incubation of CCEDNet. I attended a meeting in Chicago that Mike Lewis organized, which was a precursor to later pan-Canadian meetings. This evolved into the Digby Network and I attended almost all, if not all, of their meetings. And then came the organizing meeting of CCEDNet, where people put their ante on the table. At first, I was still living in Cape Breton, but then I later returned to the States, but continued to participate as if I were in Canada. I paid my dues like everyone else, until Eunice Grayson, at a meeting in Halifax, suddenly proposed my being an honorary member, whereupon I no longer had to pay dues. Year after year the annual meetings were intellectually and practically stimulating -- and fun. On one great occasion we sported outlandish headdresses and costumes on Flo Franks’ initiative (I believe she warned us all the year before). Somehow there came to be a tradition of long conversations / celebrations over scotch in my hotel room, to which young people were invited to mix with us oldsters. On these occasions, we came to present a serious-fun award each year to celebrate someone’s contribution to the field. It is sad to recognize that in that sense the annual meetings are not as noteworthy celebrations as they used to be. Looking back, I am afraid that there was indeed a period when “CED” was too much just the fashionable word, and not seen simply as the crucial perspective and strategy that offers a struggling community its chance to make a new start. Nowadays it seems that “social enterprise” is the fashion. Again, a useful approach to a better world, but much more limited in its goals and practices. And, if I am not mistaken, the new fashionable idea in our field is beginning to be “social impact bonds” – a still more limited strategy for community renaissance – but, again, with its own pay-offs. Perhaps more encouraging and significant is the growing recognition that the community has an even more critical part to play in the global picture of climate change and degenerative economics. Whatever the limitations we must recognize in our 15-year history, at my “advanced” state, I look back on those 15 years of CCEDNet as an unbelievably rewarding period in my work life, with essential personal relationships that helped me to grow and to contribute to something important that was/is happening in my other land. Honorary lifetime member of CCEDNet, Stewart is one of the pioneers of CED in the US and Canada, as both a policy adviser and a designer and manager of CED institutions. As head of the (U.S.) Center for Community Economic Development, he helped create the first finance institution for CED, the Massachusetts Community Development Finance Authority. He helped start Canada's first community development corporation, New Dawn Enterprises, and headed the Community Economic Development Center in Cape Breton, Nova Scotia. A consultant, researcher, and author, Stewart currently specializes in community and development finance as an associate with the Canadian Centre for Community Renewal.